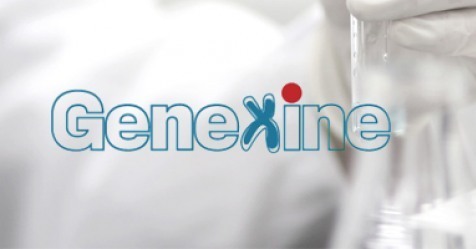 Genexine said Monday that the Ministry of Food and Drug Safety (MFDS) has approved the phase 1b/2 clinical trials of its combination treatment of HyLeukin-7 and Keytruda on triple-negative breast cancer patients. Triple-negative breast cancer, unlike other cancer, has cancer stem cells that proliferate making it difficult to treat by targeted cancer chemotherapy. As of now, the standard chemotherapy is the only treatment for the disease. Triple-negative breast cancer patients account for about 15 to 20 percent of all breast cancer patients with a higher share among younger women. The disease often has a poor prognosis as it has a high recurrence rate. Compared with other types of breast cancer, the survival period after recurrence is shorter raising the need for a more effective treatment. The drug is to significantly enhance anti-tumor activity by increasing the number and function of invading lymphocytes that play an essential role in the anti-cancer effect, he added. The company will enter into phase 2 clinical trials after assessing dose and safety and tolerability of the drug in the phase 1b studies. During the phase 2 clinical trials, Genexine plans to evaluate the anticancer and therapeutic effects of combination therapy with Keytruda.